It’s true, today I start back to my other job. I’ve enjoyed my summer vacation, feel as if I made headway on my current projects, and certainly enjoyed the time I spent with family and friends. But now I dig in, because so much lies ahead of me, and some pieces are similar to last year at this time, while others are entirely different. On September 2nd, last year, Tap Out was nine days from its publication date, and I wrote, thanking a local English teacher for her praise of my work. At the time I did not realize that the release date had already passed–I didn’t know what that date was–and that along with everyone who’d received an Advanced Reader Copy, those who had pre-ordered were already reading and reviewing Tap Out. The early reviews were indicative of the way the remaining reviews would go: some love the story; some are offended by it. At first, the negative reviews bothered me, but I quickly got over them and focused on the critical praise that mattered, the reviews from the important publications, like Kirkus, as well as from those in the know, like Ann L.
Now, Dare Me is twenty-seven days from its publication date, with the release date of September 17th. Therefore, I know that in two weeks everyone who pre-ordered will be receiving copies, and I will be searching like mad following that date for reviews. 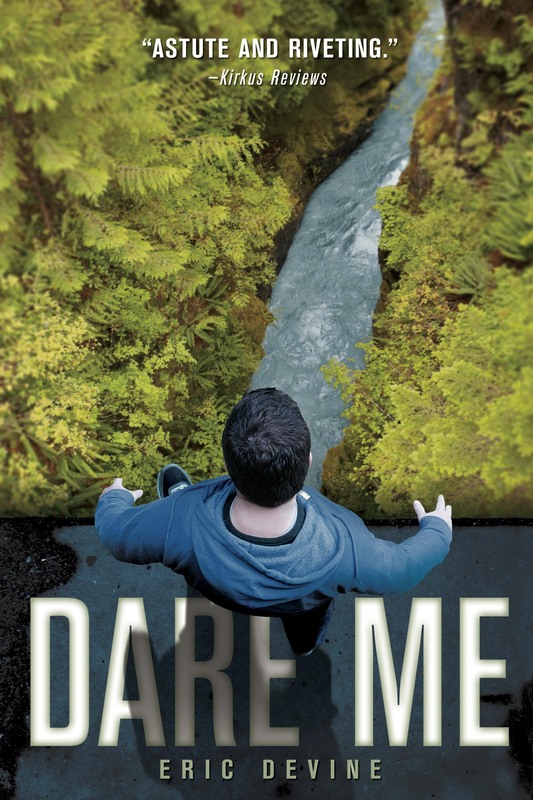 I have also read the Kirkus review of Dare Me and know that it is astounding. So much so that it altered the cover of my novel. Further, I know there are scant reviews already from those with advanced copies, and that the feelings are mixed. As to be expected. Still, I do not have a review from any local teachers, so I’m waiting, because I know how busy they are about to get, and I know how much their opinion matters. Unlike last year, my signings are all set, and I’ve posted them below. With an October 8th pub date, I have time to get these exact posters into classrooms across the region well before a number of my events. WNYT (channel 13) is interviewing me on 10/5, just like lat year, but sadly, the Times Union will not be running an article on Dare Me. I’m still scratching my head over how that played out. No worries, though, because I have a good feeling about Dare Me. It’s another novel that will capture the attention of reluctant readers. It’s another novel that honestly explores the contemporary lives of teens without shying away from the hard facts and without making sure that in the end everything is all tucked neatly back together. That’s not how life works and that’s not how I envision my stories. This time last year I was praying that Tap Out would be accepted. It has been, on many levels, including by YALSA and Booklist. This year I am praying that Dare Me finds a wider audience, not because I’m greedy, but because, as I recently wrote to my editor, when we were discussing what’s next, “So yes, stories, I have them. Fingers crossed I manage to tell them well enough.” Trust me, there’s more to come. And as it was this time last year, the same remains true today. I’m back at work, but really, I’m always working. Teaching and writing have such similar qualities: engage the audience, keep them enthralled, and leave them having learned something new. My lives intersect in one place, the blank page. I hope you enjoy what you find there. I will most likely be including the trailer for Dare Me at the end of all of my posts from here until October. Enjoy.